Wait - You Didn't Order Your DVD Yet! Purchase your 10 Amazing Card Tricks DVD today and learn to entertain your friends with a deck of cards. Have you ever thought how fun it would be to perform a few card tricks for your friends? If you are reading this, then you probably have! If you haven’t thought about, just imagine being able to borrow a deck of cards and “wow” the person with his own cards. Professional magician Mike Rose (a.k.a. The Magic Kinda Guy) will personally teach you 10 amazing card tricks. These card tricks were hand selected to not only be amazing to witness, but with Mike’s guidance, amazingly easy to learn. Along the way Mike will also impart performance and presentation tips that will help bring your card tricks out of the realm of mere tricks and turn them into entertainment. All the card tricks taught use an ordinary deck of cards and require no previous experience. It doesn’t matter if you’ve never performed a card trick before. 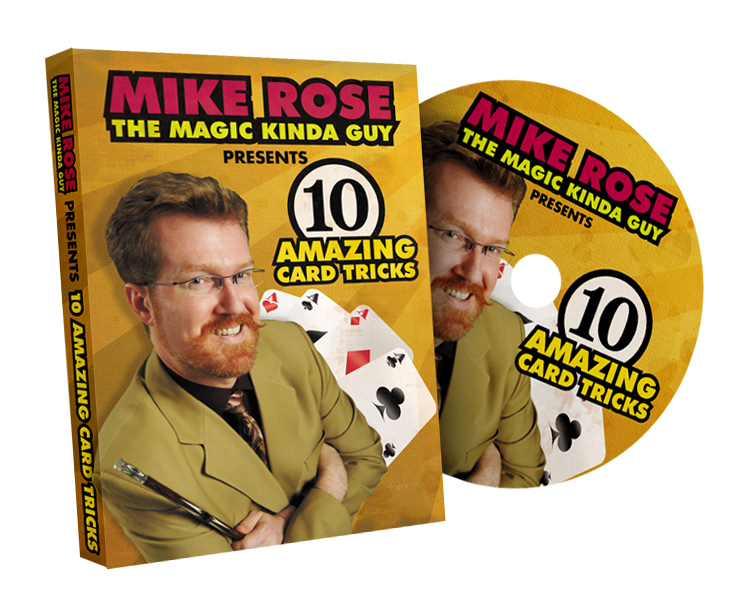 Mike will take you step by step through each card trick on the DVD. You’ll be amazed at how quickly you will learn. Click the Order Button and let’s get started. You’ll become so amazing that your friends will want to add “ini” to the end of your name! Also includes a Bonus 11th Trick! The DVD is Over a Hour Long!